The exciting flurry of debate about Universal Pre-K since President Obama’s State of the Union address on February 12, 2013 prompted a real-time interview on the important topic from Equity for Children Director Alberto Minujin at The New School, and Martin Woodhead from our partner program, Young Lives at the University of Oxford. 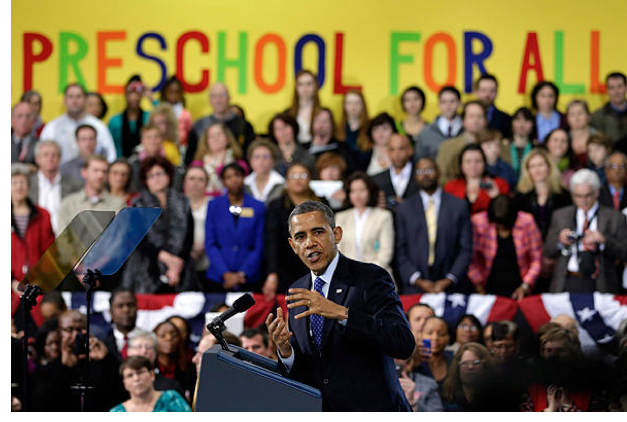 Q: President Obama has brought a spotlight to the topic of high quality Universal Pre-K. Would you tell us a bit about your opinion on the matter? Martin: Any move by policymakers to strengthen the quality of learning opportunities for very young children is always welcome. Of course, the U.S. has been here before – with debates going on around improving the provision of pre-school education since at least the 1960s – the most visible program being Head Start – targeted toward the most disadvantaged. It’s quite a paradox in that the U.S. has provided the strongest science that we have available on the potential importance of good early childhood programs, and yet in other respects the U.S. lags behind other countries in terms of assuring that children have access to these programs. Alberto: It is crucial that all countries work to implement universal education programs, most especially for early education. Preschool education for 4 and 5 year olds is one of the most important social measures that can be done to provide greater opportunity for children and adolescents and to improve equity overall. Middle to high income countries such as the US, especially, have no excuse not to provide universal Pre-K programs in my view. This includes Latin America and East Asia, too, for example. They are cost-effective, manageable and have been proven to provide very high returns to society. Q: What are the major advantages and benefits of Universal Pre-K? Martin: There are multiple arguments for a universal program. Giving every child a good start in life and preparing children for school are the obvious ones. But we also need to recognize just how formative this period of life is, from birth through to when schooling begins. And we need to understand that age 4 is within that critical development period which has to be viewed holistically – there is just so much happening in a 4-year old’s life – physically, cognitively, emotionally and socially. One of the strongest arguments used for investment in this period of life is the human capital argument, which recognizes the importance of building children’s development potential from the beginning. Economists have clearly demonstrated the high potential returns to society. This instrumental view of early childhood needs to be set alongside arguments about respect for children’s right to quality education, their entitlements to good experiences now as young children — and not just because of the future benefits of early learning for the economy and society. Alberto: Some of the short-term advantages for such programs include obvious aspects such as greater school achievements for children, most especially when high quality programs are provided. There is a great deal of research proving that high quality early education increases achievements in primary school and even higher levels of secondary school. There are also other more important long-term benefits related to the child’s family, the community and to the overall economy and society. Among them are social inclusion, employment and career options and wellness. Q: What are the main characteristics of high quality pre-school education? Martin: We need to be careful about being too prescriptive about the specific requirements for high quality, because there is a strong tradition of diversity in specific early childhood pedagogies and curricula. That being said, some of the more general features of a high-quality program would include being child centered; being holistic by recognizing different dimensions of children’s development; being inclusive by recognizing that children come from different places and social backgrounds; ensuring the program extends outside of the classroom and engages with the local environment, community and parents; having sufficient well-prepared staff who have the specific knowledge and needs for each age-group; and most importantly, having respect for the child as a social actor. By this, I mean not simply viewing the child as a passive recipient of teaching but instead ensuring that every child is actively engaged from the beginning, making choices about what and how they learn. Alberto: Particular characteristics are hard to specify — we have to be careful to avoid a “one size fits all” prescription to early education. Programs need to be flexible to the diverse needs — of different identities and social groups, for instance. The main point, though, is that preschool education that is high quality be provided. It is the only way that we can really close the gap in society between the lower social classes and the middle to high classes, the latter of whom have access to much higher quality private education and tools at their disposal for positive early childhood development. In this moment, there are many forms of technology available around the world, and in the U.S. especially, that can help facilitate high quality preschool education in an affordable way. In the U.S. we speak about social mobility and moving up the social ladder, so that each generation does better than the generation before. Implementing Universal Pre-K is one key to providing that critical aspect of the American dream. Q: What does research tell us about the value of Universal Pre-K? Martin: The body of available research has been steadily growing since the 1960s, especially with the whole cluster of activity around Head Start, which became a catalyst for much research within the U.S. And in those early decades, the evidence was a bit mixed, with some positive outcomes but less clear long term gains for children. Amongst advocates for early childhood, it felt like we were surfers waiting for ‘the big wave’, namely the very strong evidence that would push the policy argument forward with real power. That wave of strong evidence has been gathering momentum since the 1980s and spreading globally through research across several continents that all adds up to the same basic message. As I already mentioned, the U.S. has some of the strongest scientific evidence for the potential importance of early childhood programs in a child’s development. Yet it still does not ensure equitable universal access to these programs. Alberto: In the 1960s in the U.S., there was a famous study called the Perry Preschool Project in which a group of at-risk children from poor neighborhoods were introduced to early education and then monitored into adulthood for life achievements. The study proved that children in the program achieved higher performance in education, economic activity, and even social and familial outcomes. The evidence from the Perry study is so strong that results were used to shape public policy in many other countries, including in Latin America and the U.K. In the U.S., Universal Pre-K is still being debated. It is really a paradox. Q: Are there any economic benefits of investing in pre-school education for families and for society as a whole? Martin: As I said, we shouldn’t need to justify a program in terms of the economic benefits alone, even if this line of argument is politically compelling. Since the 1980s there has been a growing body of economic analysis using evidence from randomized-controlled trials and based on systematic evaluation of early childhood programs, which has demonstrated strong returns on initial investment. As Alberto points out, the High Scope Perry Pre-school Project was probably one of the first and most powerful research programs to demonstrate returns both to children and to society as a whole. Of course that was a targeted model program and it is harder to illustrate these gains for universal programs. Alberto: Many studies have shown that there are in fact several economic benefits for early education programs. One is the individual economic investment of $1 in preschool programs returning anywhere from $7 up to $16, as cited in the Perry Preschool Project that Martin and I have referred to. The most important aspect of such investments is the effect on productivity throughout their lives and in the economy where they reside. That enhanced contribution is very good for the greater society. Q: Why is it so difficult to introduce high quality Universal Pre-K? Martin: We have to recognize that the advantages and benefits of a universal pre-kindergarten program will only be realized if good, high quality programs are rolled out to all children, where equity is a guiding principle in program management and financing. That means firstly, programs are offered that really can deliver on the potential of this crucial period of life, and secondly, that access to high quality provision is equitable and available to every child. My research into early childhood programs in numerous countries shows just how difficult this is to achieve, because of the potential inequities that a universal program might perpetuate. For example, an equitable universal program must recognize the extra resources that are required to deliver the same quality program for high risk, disabled and marginalized groups, in order to ensure their inclusion and their ability to really derive benefit. Alberto: Generally, it is difficult to effectively implement and monitor large-scale social programs, especially when ensuring high quality for all. However, technology can function as a great equalizer because of its availability and ease of use. Technology can augment teachers’ skills and help the learning process for children. It used to be true that monitoring and evaluating a program was difficult. In fact, it was a hurdle that sometimes prevented an early childhood program’s development. Now, however, quality standards – ranging from the activities that the children pursue to the teaching facilities that are available — can be established and monitored in real time. Q: How does high quality universal pre-school education impact inequities in education and in general? Martin: There is always a risk in universalized programs that they may, unwittingly, end up perpetuating inequities because of which children get access to which program, which particular Pre-K is available in which communities, the quality of the teachers, the inclusive nature of the practices, and so on. In that sense, universal programs can be a double edged sword. They have the potential to recognize every child’s entitlement – but unless they are delivered in ways that can ensure a level playing field for all children, with access to high-quality provision, there is a risk they can perpetuate inequalities. Alberto: I think that high quality preschool education is a very egalitarian measure. It provides the basis for a great deal of empowerment within the family and in the economy. In the largest province in Argentina called Provincia de Buenos Aires, I have spent a considerable amount of time studying the impact measures of preschool programs with the goal of increasing equitable access for the most at-risk and poor families. Often, they are excluded even though Pre-K schooling is mandatory there. What we found is that in order to avoid increasing such gaps in education, we must link high quality universal education with family and community programs. These local community development initiatives are very important parts of the social fabric of a community. They are relevant in the discussion and action about eliminating inequities. For supplemental resources from Young Lives on the Early Education debate, please click here. 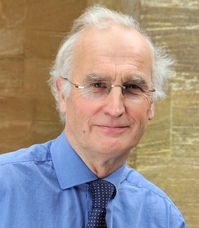 Professor Martin Woodhead is Associate Research Director of the Young Lives study, based at the University of Oxford, and Professor of Childhood Studies at Open University where he pioneered interdisciplinary teaching in Childhood and Youth Studies. His research relates to early childhood development, education and care, as well as child labor and children’s rights. Professor Alberto Minujin is Founder and Director of Equity for Children, and Associate Professor in the Graduate Program of International Affairs at The New School in New York City. 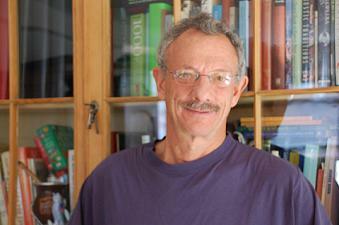 His specialties and expertise relate to social policy and children’s rights around the world.